Haploids and doubled haploids are very important tools which shorten the breeding periods and 100% homozygous lines. Especially in cross-pollinated species, it is known that it takes a long time to obtain homozygosity, and these breeding periods can be reduced by haploids considerably. 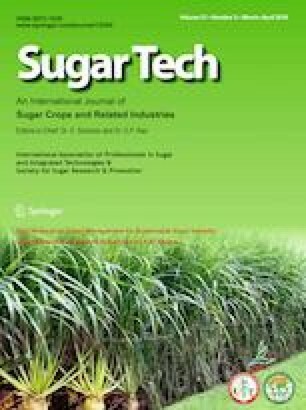 In this study, appropriate bud stage and the effects of different growth regulators in Murashige and Skoog’s nutrient medium (MS) and pre-treatments on in vitro androgenesis were investigated in Stevia rebaudiana Bertoni which is known as sweet herb. In the first year, callus, bar-shaped embryo, and embryogenic calli were obtained. Embryos were obtained from MS 2.0 mg l−1 α-naphthaleneacetic acid (NAA) + 0.5 mg l−1 6-benzylaminopurine (BAP) medium, MS 1.0 mg l−1 NAA + 0.5 mg l−1 BAP, and MS 0.5 mg l−1 2,4-dichlorophenoxyacetic acid (2,4-D) + 0.5 mg l−1 BAP callus ratios are 13.33%, 10%, and 3.33%, respectively. No differentiation was observed from the obtained callus and embryo. In the second year, high-temperature (+ 35 °C) and cold (+ 4 °C) pre-treatments were applied to the anthers, and no difference was observed between the applications. MS 2.0 mg l−1 NAA + 0.5 mg l−1 Kinetin high-temperature application was observed as the most successful medium with 37.5% embryo ratio obtained from two calli. This medium was followed by MS 2.0 mg l−1 NAA + 0.5 mg l−1 BAP and cold application (MS 1.0 mg l−1 NAA + 0.5 mg l−1 BAP) with 7.5% callus formation rates. Only cold application resulted in organogenesis through the callus, but the plants obtained were in diploid structure. This study was supported by the Scientific and Technological Research Council of Turkey (Project No. 113O938). KT conceived and designed research. TU conducted laboratory work and handled the writing of the article, and DA helped laboratory work. Bajaj, Y.P.S. 1990. In vitro production of haploids and their use in cell genetics and plant breeding, 3–44. https://doi.org/10.1007/978-3-642-61499-6_1. GRV. 2018. Grand view research report on Stevia Market Size, Share & Trends Analysis report by application (beverages, food, pharmaceutical, tabletop sweeteners), by region (North America, APAC, Europe, MEA, Latin America), and segment forecasts, 2018–2024. https://www.grandviewresearch.com/press-release/global-stevia-market. Accessed 11 Jan 2019. Kasha, K.J., and M. Maluszynski. 2003. Production of doubled haploids in crop plants. An introduction. In Doubled haploid production in crop plants, 1–4. Dordrecht: Springer. https://doi.org/10.1007/978-94-017-1293-4_1.